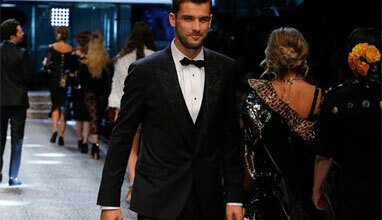 It's a great pleasure to notice that this year there was a very strong presence of Bulgarian designers and brands, which is a good sign for the development of the Bulgarian fashion. The audience enjoyed beautiful bridal gowns by designer STOYAN RADICHEV, designer Stoika Hadjieva-Novkova for TONENA, ORENDA fashion house and Wedding center SOFIA & VARNA. Their collections presented also fashion houses ROSHAVATA GARGA, ZEBRA WOMAN, VETEIDA, VAYANA and BANDEROL, and clothing line IXTYS. 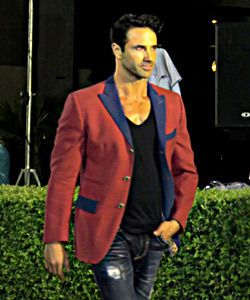 Men's fashion was presented by RICHMART, AGGRESSOR Рё DANIEL Fashion. 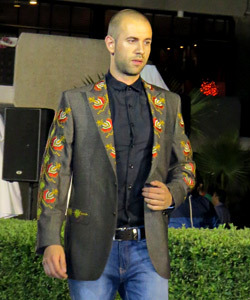 Young Bulgarian designers, participating the Richmart Vintage project, showed their men's suits and womenswear collections with shevitzi (traditional Bulgarian folklore embroidered motifs) - a fashion trend, which is very live and gets more and more popular in Bulgaria and worldwide. The fashion show started with the presentation of the current fashion trends by VIP Fashion Group's youngest models. The latest collections by SLAVE JEANS, WOLF WALLEY, SEVEN SECONDS swimwear, SARA PEN shoes and handbags were also presented. 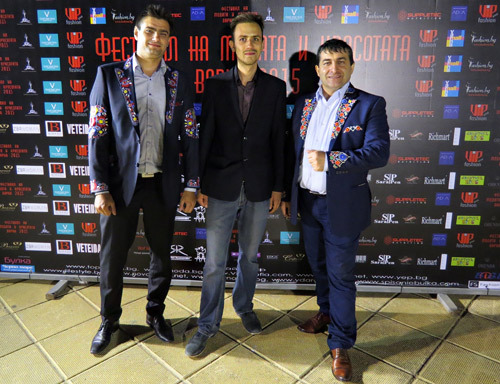 Partners of the two-day event were once again Grand Hotel Varna, Mall Varna and Fashion.bg. The face of the Festival of Fashion and Beauty was Iva Atanasova - Miss Varna 2007 and BEST MODEL OF THE WORLD 2011. 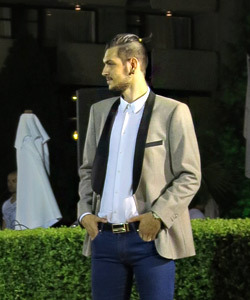 Traditionally, the host of the event was popular actor Simeon Lyutakov. Coiffeur Konda Kondov from Nushi saloons and makeup artist Kristina Slavova's team took care of the models' styling. The guests of the even enjoyed the products of Winery Varna and live alkaline water ADVA. 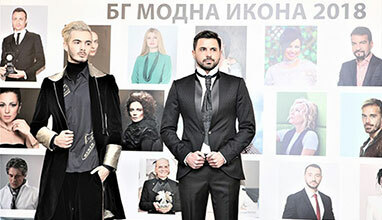 Wait for more details about all presented collections during the Festival of Fashion and Beauty Varna 2015 only at Fashion.bg and Be Global Fashion Network.